Swansea City manager Garry Monk does not think that Michu will play for the Premier League club again. Michu was a £2m signing from Rayo Vallecano in July 2012 and scored 22 goals in 43 games in his first season. 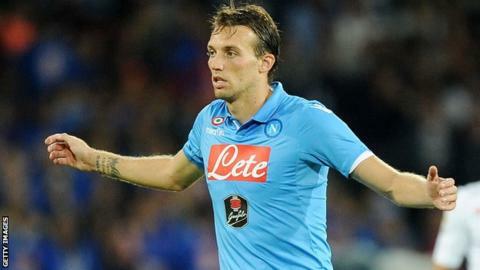 The Spaniard, 29, spent last season on loan at Napoli in Italy, but injuries limited him to five games. "You never say never in football so I wouldn't totally exclude Michu at all, but it's very highly likely he'll be moving on to a new club," Monk said. "I wouldn't know in terms of where he's going to go. "I know the chairman [Huw Jenkins] is speaking to his agents, his representatives about that situation and trying to clarify that exactly. "Hopefully in the coming days when it's been resolved we can see what happens there." Michu, who has a year left on his Swansea deal, could now return home to Spain, with reported interest from Granada and former club Rayo.